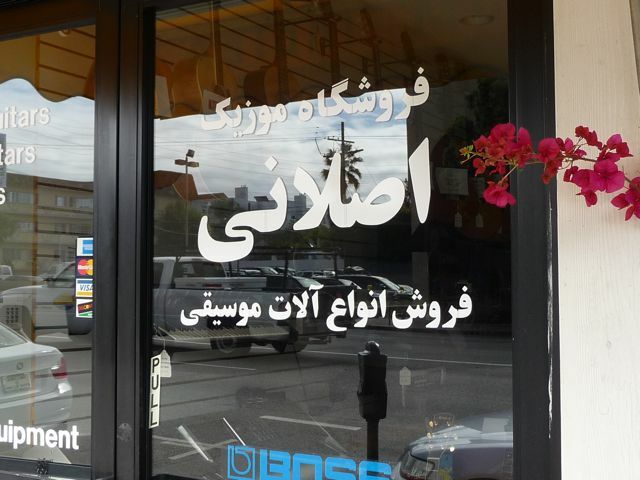 "Tehrangeles" is a nickname given to the huge Persian community here in Los Angeles, a blending of "Tehran" (capital of Iran) with the "Angeles," of Los Angeles. 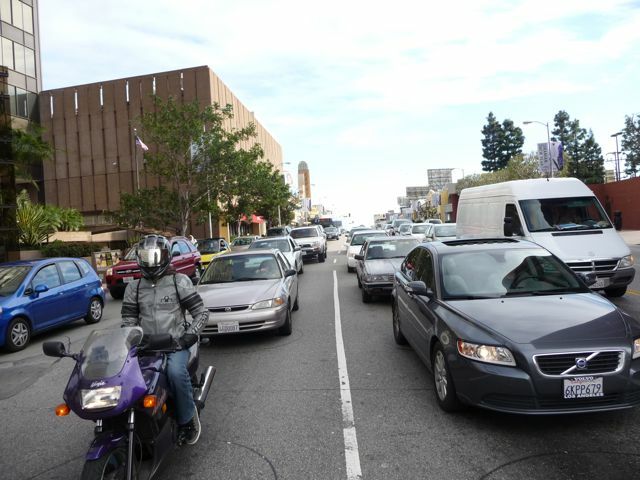 A couple months back I took an hour to walk up and down Westwood Blvd. 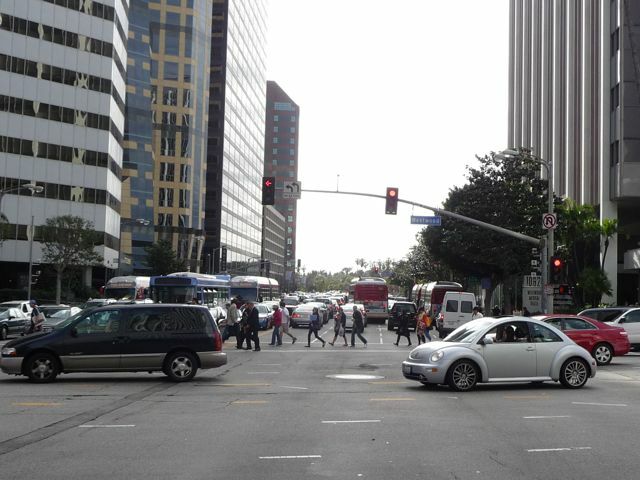 between Wilshire Blvd. (pictured above) and Santa Monica Blvd. This one mile strip is the commercial center of Los Angeles' huge Persian (Iranian) community, estimated between 500,000-600,000 people. 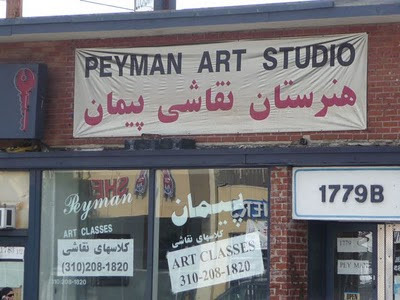 It's the largest Persian community outside of Iran. The highrises along Wilshire quickly give way to low rise commercial buildings along Westwood Blvd. This is looking south on Westwood Blvd. 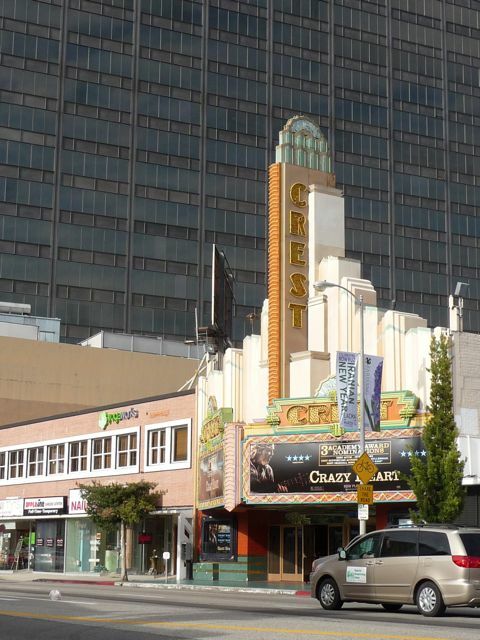 An office building along Wilshire provides a backdrop of the Crest Theater on Westwood Blvd, with Persian businesses, stores, and restaurants beginning almost immediately after this. 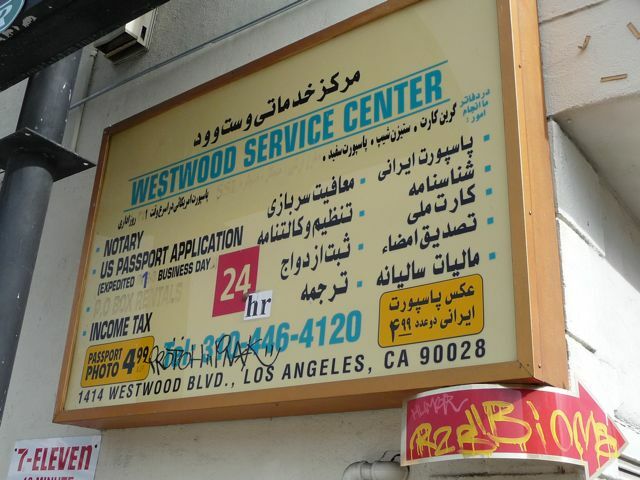 One of dozens of signs in both English and Farsi along Westwood Blvd. The majority of the Persian community arrived in Los Angeles during the Iranian Revolution in the late 1970's. 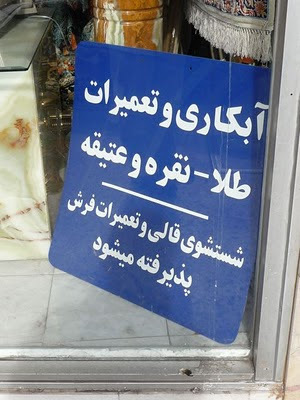 These were men and women who fled Iran after the Shah of Iran was deposed by the Ayatollah Khomeini. In some ways, a similar situation to the Cubans who fled Castro's Cuba in the early 1960's. And like the Cubans immigrants of the 1960's, the immigrants fleeing the Iranian revolution were among their countries "best and brightest" - doctors, lawyers, engineers, and business leaders. Men and women with the most to lose by staying in Iran. For them the United States became a place of freedom and opportunity. And many (but not all) arrived with money. 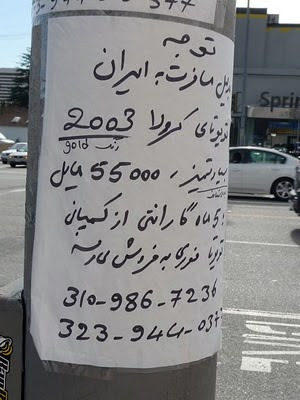 About 25% of the population of Beverly Hills, located just a couple of miles to the east, is Persian, including their two term mayor Jimmy Delshad. They have invested billions of dollars into the Los Angeles economy - and yet, for the most part, have remained out of the public spotlight. 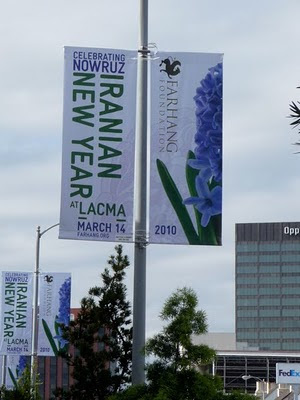 As a result of the large, well-educated and successful Iranian immigrant community, Los Angeles boasts 10 Iranian newspapers; numerous Iranian-owned stores, restaurants and other businesses; locally produced Iranian television and radio shows; Iranian yellow pages; and the largest Persian bookstore outside of Iran, according to Edmund F. Scherr, a Washington correspondent. Here's the link to the article from the New Yorker. More in Part II on "Tehrangeles"